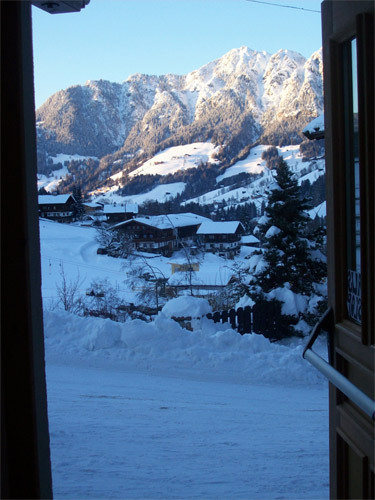 Haus Hislop in Inneralpbach, is situated in the epicentre of the Ski Jewel resort. Just down the hill, from Haus Hislop, a 3 minutes’ walk, is where it all starts. The nearest lift; ski school office and the famous Umbrella 6 pub are there. 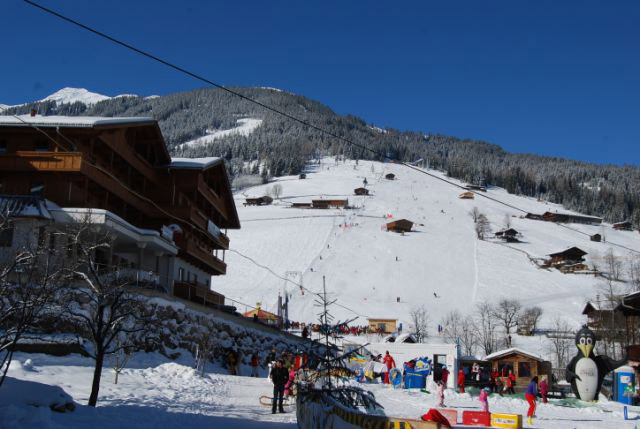 The lift here, is a T bar lift and it connects with the two gondolas here in Inneralpbach, accessing the whole area, both the Alpbachtal and Wildschönau ski regions. 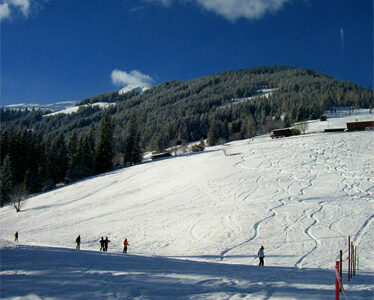 It is a 2 minutes ski or a 8-10 minutes’ walk from Haus Hislop to the bottom gondola stations. 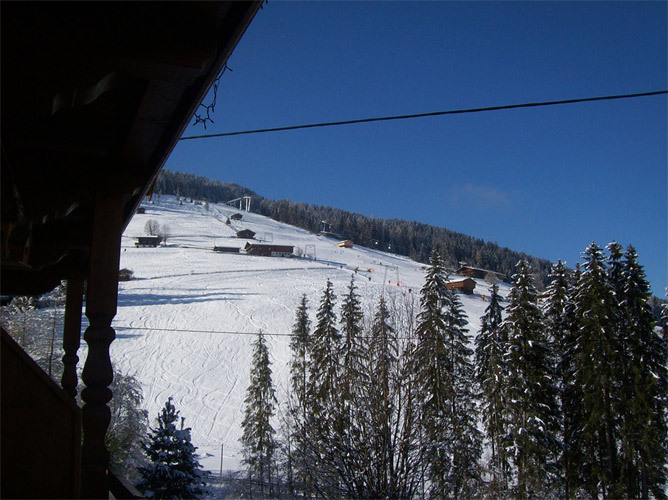 Connys – the ski rental place and ski passes can be obtained here. 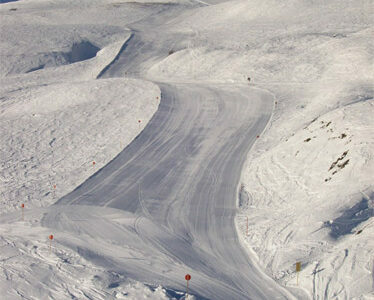 To view detailed maps of the region including the piste map please click here. 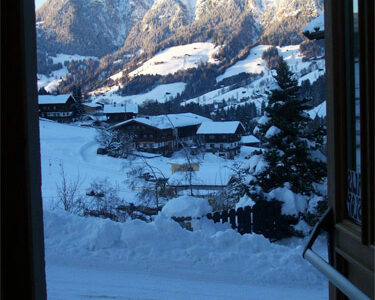 Haus Hislop is in Inneralpbach in the centre of the hamlet by the Gasthof (The wonderful Zirmalm). 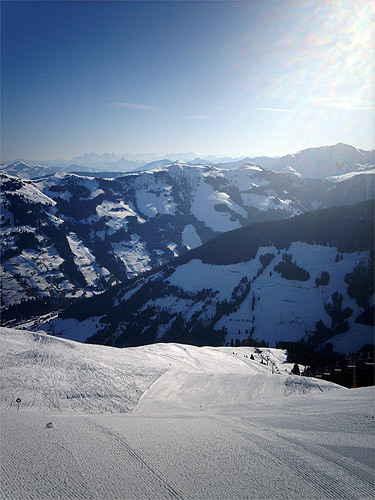 With its breath-taking panoramas and sunny slopes, The Ski Jewel resort has 145 kms of ski runs and 47 lifts (all covered on one lift pass). 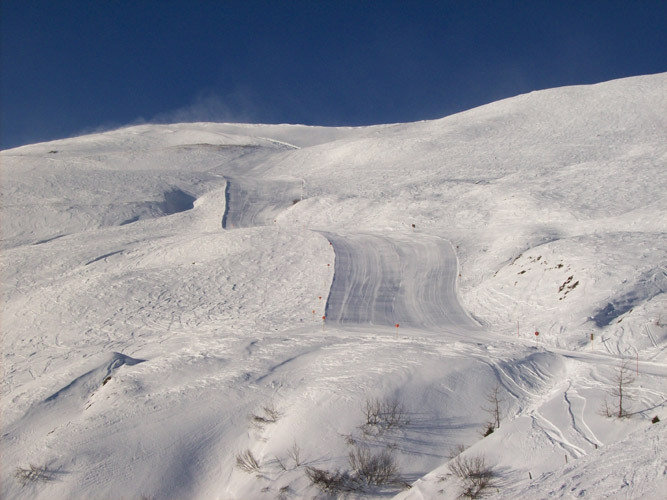 The resort has a good mixture of runs which makes it a great area to suit all abilities. 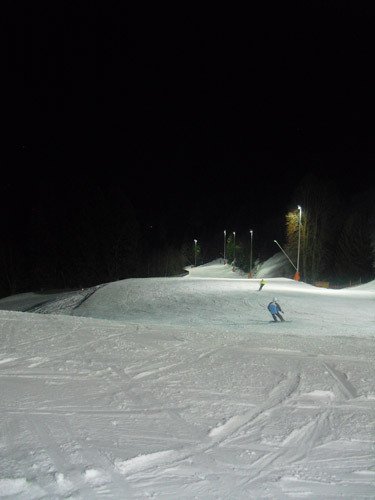 There is three adventure Snow Parks and lots of off pisting to be had. 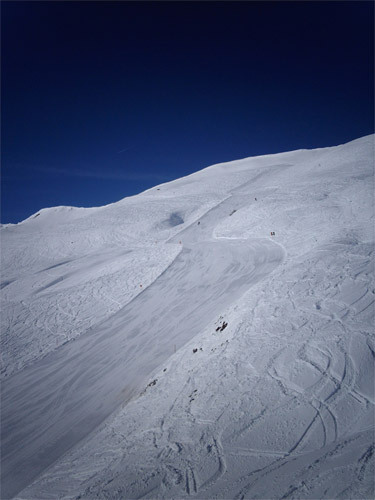 Beginners of all ages are well catered for by the 2 Ski Schools here. There are 24 traditional mountain huts/restaurants to entice you to take time out. 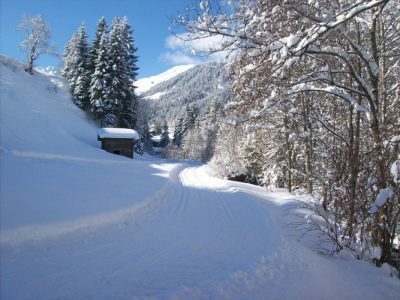 We have Cross Country trails here in Inneralpbach which lead you through a magical winter landscape. The nearest trail is 30 seconds walk from Haus Hislop. Another less taxing winter recreation is walking, with about 200km of cleared marked paths. For tobogganing fans the region offers exciting runs. Horse drawn sleigh rides are also available, the ultimate romantic experience. You can take the W14 T bar lift up and then connect to the middle station gondola W13 to take you to the top of the mountain. 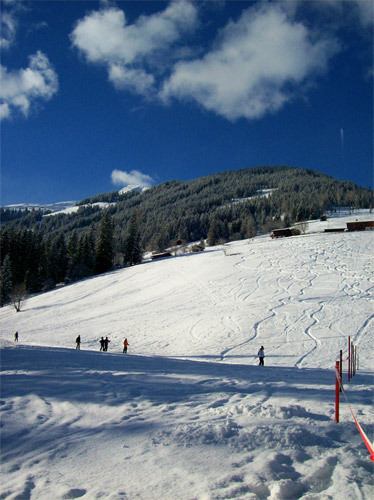 This is where the nursery slopes and blue runs are, as well as the the ski school meeting place and crèche. It is also the start to the red and black runs. Or from the bottom of the T bar lift, you can ski, on the flat to the gondolas. Gondola W12 takes you the top. Red 47 is the ski route back down the mountain, to finish up up at the gondola stations. There is a great apres bar, Joes Salettel which serves snacks too. It’s an excellent meeting/waiting place. If you’re not up to a red runs then, you would start and finish your ski days by going up and coming down on the Pöglbahn gondola W12. You can also ski down red routes 47/47b and get in the gondola W12 and then travel up to the middle station and exit to then ski down 67 and 67a to finish at the T bar. You can leave your skis, poles and boots in the lockers at the gondola station for a small fee. This saves you from carrying them back to Haus Hislop. I do though have a ski room with a boot drying system. The gondola J1 J2 takes you to the top of the mountain. 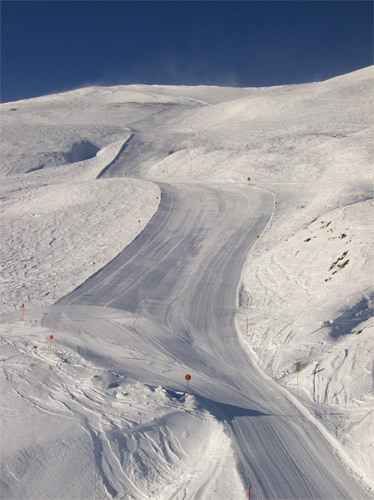 The ski region here has great long and wide red runs. My favourite run is the long number one that goes all the way down to the village of Auffach in the Wildschönau. 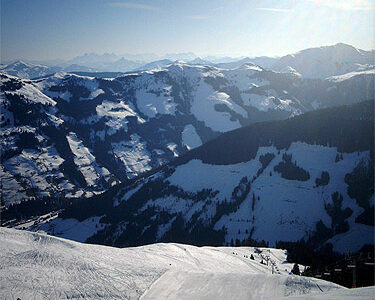 Your ski pass also covers Niederau or Oberau. If you want to visit those resorts, you can take a short (free) bus rides to explore. 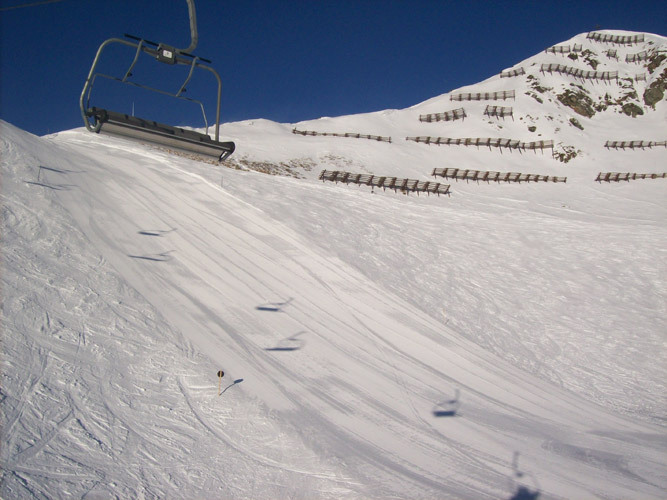 There is also a great a toboggan run on The Schatzberg. Also for hire are towing skis; snowboards; snowblades; snow shoes and sledges. You can then go next door and get your lift passes. For a 6 day pass – €238.00 for adults, €190.50 for youths and €119.00 for children. They take only Master Card and Visa. The lifts are due to open the 08.12.18. If this happens (it depends on the snow fall), then the price is the Winter Low price. 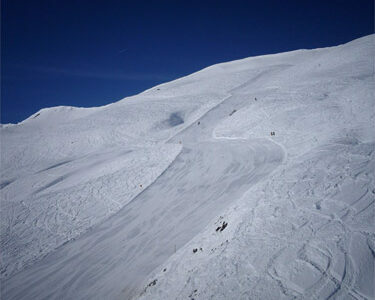 If there is not enough snow and the lifts don’t open: Feel free not to come – deposits not lost I would send it back. Or do come and just pay half price). 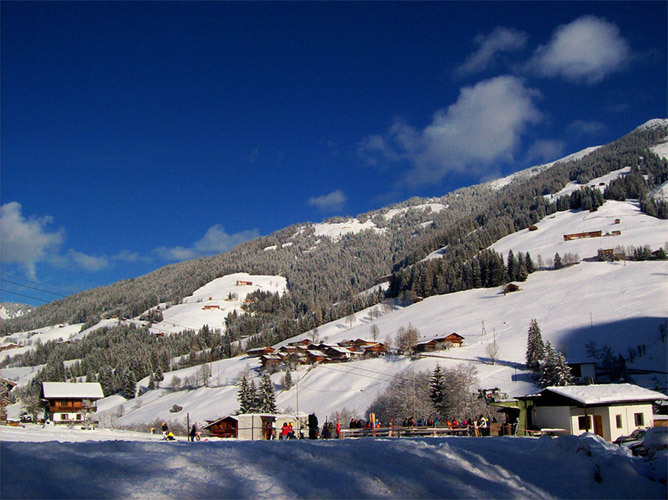 Guided snow shoe walks – in Alpbach, Reith im Alpbachtal and Brandenberg. 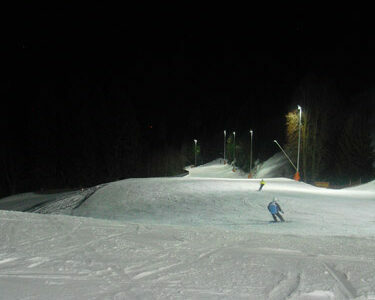 Ice skating – in Kundl, a half an hour drive from Haus Hislop. Tobogganing – There are eight toboggan runs locally lead through marvellous scenery. And part of the fun is a stop off in one of the mountain huts for rest and refreshments! Cross country skiing – Cross country skiing is an alternative healthy sport for winter. The nearest Cross country trail is just 30 seconds from Haus Hislop. You can hire skis and boots and the ski schools run lessons. Horse-drawn sleigh rides – is the ultimate romantic experience. I can book it for you. Spar facilities and beauty treatments – I have an arrangement with the Galtenberg Hotel, which is 2 mins walk from Haus Hislop. In the low season, if you book a treatment such as a massage, manicure etc. you will have access to the sauna, swimming pool and spar facilities in the hotel. There is also hotels in Alpbach that have Spar facilities for non- guests. The Alpbacherhof is highly recommended. Shopping – You could also go shopping in Rattenberg and enjoy the café culture! You can get there (free on the bus.) It is a lovely little town. Or maybe you might like to go further a field to Innsbruck. They have a fabulous shopping centre or for more culture, Innsbruck Old Town is a great place to visit. Eating and Drinking – There is also, not forgetting all the lovely restaurants’, bars and Alm huts in the resort. Other local events – Every week there are events going on in the region. I provide the programme to my guests. Every guest gets one of these for free on arrival. 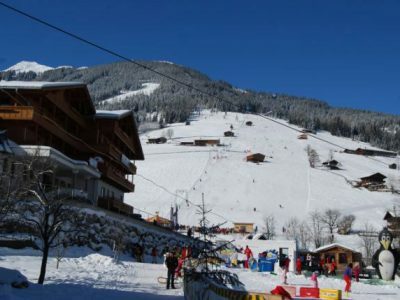 For those arriving by train simply show the bus driver your booking confirmation and bus to Inneralpbach is free, Haus Hislop is a 3 minute walk from the bus stop. In part of the low season, free ski passes for children under 15 years olds. Ice-skating & skate hire in Reith i. A.
Torchlight walk in Reith i. A.